Do you need a mentor to help you through life’s transitions? Or would you like to be that woman who helps a younger woman along? 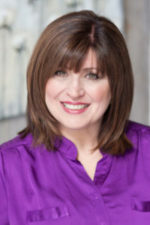 My friend, Jayme Hull, shares on my blog this week how you can make a difference in your life or the life of another woman through mentoring. 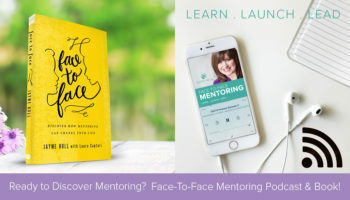 Leave a comment at the end of the blog and you’ll be entered to win one of her two books on mentoring being given away this week. Did you know that the Millennials are hungry for someone to know them by name, care about them, and persevere in a face-to-face lasting relationship? This is what I call a mentoring relationship. Mentoring is a win-win situation: Younger women are encouraged and grow, and older women find new purpose. Perhaps you are longing to find a mentor, or you’d love to become one. I received my mentor in my early college years. I can’t imagine going through my college days, young married years, my kids’ terrible twos, career transitions, the death of my parents, and countless other rattling life events without the support of mentors. Now, years later, I have the privilege of mentoring younger women. Some are young professional businesswomen, others teachers, musicians, designers or moms. Some have cute little apartments, others rambunctious little ones. As we sit and talk over lattes or hot chocolate or sweet tea, I am inspired by their courage and honesty. Their eagerness to grow and change and become. Their hearts to love people and join God in doing good. Pray and walk across the room, introduce yourself, and start a simple conversation. Share what you admire about her and how you see her potential in Christ. Be authentic and transparent. Share the short version of your God story. Invite her to meet for coffee and conversations in the following week. When you step outside of yourself and intentionally step into another woman’s life—taking time to care, to listen, to encourage, to share what God’s taught you—that’s passing on the baton. The only way to get across the finish line is together! Cheering each other on, crying together, celebrating together, sharing our stories, instilling hope, receiving new life, and fixing our eyes on Jesus until we get home. Now it’s your turn. Step out. Challenge yourself. Go after the dreams God has put in your heart. Give yourself away. Invest in the next generation and draw them closer to God. Talk with God about your next step. Who is God bringing across your path and how can you pour your life into them? on Do you need help through life’s transitions?. Our church had a women’s mentoring program a few years ago. We were paired up after much prayer. Although it eventually fizzled out many friendships were formed. Ive often wished I’d had an older mentor in my early years of marriage. And now I could definitely help a young married lady. With age comes wisdom. So glad you shared your story, Gail. 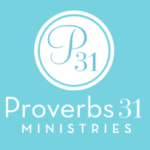 I want to encourage you to pray and ask God to open the door to a new mentoring relationship. God would love for you to take time to pour into His younger women in the next generation. I’m so excited as you step into this new journey. Your heart will be so blessed when you share your God stories. Thanks again for sharing. I am the leader of a small group at our church. I love speaking into the women’s lives and hearing their wisdom as well. Thank you, Jill, for taking the time to comment and enter the drawing….and for your heart for speaking into the lives of women. Jill, thank you so much for your leadership and service for the Lord. God has positioned you here for a specific plan and purpose and given you unique talents and gifts to share with others. Keep shining for Jesus! Oh, my goodness I needed this post. I have believed for a few years now that I am called to minister to younger women who have been through the same or similar life experiences. And I was given the opportunity to do just that for a while within my church’s weekly Reformers Unanimous ministry. I enjoyed & am thankful for that opportunity. When I started, I could sense these teenagers had or were experiencing sexual abuse because I’d been there too. I recognized the fear to share, to speak up, and the reckless attention seeking behaviour. It was a mirror into my own brokenness and I was determined to be the voice they could not muster. Unfortunately, when I uncovered the abuse, I was pulled from my position in the ministry. These girls are members of the church & I felt it was my obligation to share the information with the pastor. Not to betray thier trust, but in an effort to get them the help they were desperately seeking. The girls got upset & confronted me believing I had betrayed thier trust. The call to minister to abused women still burns in my heart, but I am struggling to find the way. I have been told several times that with my writing style I should write a book. I admit, I don’t think my story is book worthy. Mostly because that part of my life is something I don’t want to remember. And I am still in therapy for PTSD, depression, anxiety and substance abuse because of my own unseen scars. Yet, I am courageous enough to share my vulnerability in a “comment box”. God had truly been at work in my life, leading me into greener pastures towards my purpose. Thank you, Kathryn, for sharing that story. A book is not the only way to tell your message about God’s work in your life through your abuse and struggles. There are many avenues these days. I hope you’ll get Jayme’s resources to equip you for this type of ministry and am praying God will begin showing you which doors to walk through. In the meantime check out my coaching services for some ideas on how you can get your message and encouragement to more women. Kathryn, thank you for sharing and being so vulnerable. Ministering to others can be difficult but the road is worth the journey. God knows our hearts. God knows you by name and cares about every detail of your life. Keep shining for Jesus. May I suggest until you receive a word from the Lord and direction on your future book or ministry that you journal every day and write your prayers out to the Lord. Continue to read your Bible for your guidance, wisdom, discernment and peace. God Word true. Isaiah 55:11 “My Word will not return void.” Thanks again for sharing the hard reality of life but also the victory of Jesus Christ in all things. Be Blessed. I would love to be a mentor. I am a team leader at work, of a group of Christian women, and I do have the opportunity to speak into their lives, but only sometimes. I really feel God could use me in this way. Thanks, Margie. I pray you get that opportunity. Yahoo Margie! Your first sentence is making me do cartwheels inside my soul. Guess What? God would love for you to be a mentor too! Go for it. Pray and then go ahead and walk across the room and begin the conversation. Begin pouring into a Millennial or whoever the Lord lays on your heart. Not only can God use you to pour into other women but He will! I’m praying right now that your heart would be lead by the Holy Spirit to a divine connection. Be Blessed! Thank you Jayme!! I am praying as well, and looking for that opportunity!!! Thanks for the encouragement! I have been going through the most difficult time of my life which is now approaching 2 years. I have definitely felt the stirring of GOD in my heart to share my story and the Yetti size step of faith I had to take that almost crushed me. Of course our wonderful GOD wouldnt let that happen… He continues to love me, heal me and show HIS faithfulness time and time again. I would love to be a mentor. I struggle with being vulnerable as my feelings can still be a bit raw. I pray though that with the right person and at the right time, GOD will guide me to an opportunity . I can see it being a Blessing to both persons. Thank you for this idea. Sometimes we dont exactly know what to pray for but this article has given me hope for a possible direction. Marie, I remember being where you are right now. I wanted to mentor others. But first, God had me pray for a mentor in my own life. The amazing thing about God is that He often brings a woman to stand on both sides of us. A mentor on our right to help lift us up, the other on our left to be mentored so that we can help lift her up. I’m eager to hear how He accomplishes this in your life. Keep in touch. Marie, I’m so grateful to hear how you can see God’s continued love and healing in your life through the difficult times. I know He will show you, in His perfect timing, the way to a blessed mentoring relationship. Sometimes just taking the small steps in the right direction can be the biggest step of your life. Tiptoe if you must, but take the first step. Blessings! I have been mentoring fatherless girls in Austin for the past 4 & a half years, I did simple things with them, that they liked to do, but would listen when they spoke and then encouraged them to find the answers to their problems in the word. I’m now moved back to Dallas to help watch my new grand baby and now I want to mentor my daughter-in-Law who is from Vietnam and does not know Jesus, but is interested in learning. So this is a new chapter of my life I’m looking forward to. That is wonderful to hear, Doreen — not only your work with fatherless girls — what a ministry — but your desire to mentor your own daughter-in-law. Wonderful. We will be praying and I’m eager to hear more of how that goes. Doreen, thank you so much for mentoring and pouring into the younger generation for the Kingdom. I know you have made a huge impact on all of the girls lives in Austin. What an incredible blessing you will be to your daughter-in-law. I can’t think of a better blessing than to love on your new grandbaby and mentor your daughter-in-law into a personal relationship with Jesus Christ. Praise the Lord! Matthew 25:40 “Truly I tell you, whatever you did for the least of these, you did for Me.” Keep shining for Jesus! I need a mentor. Every area of my life is in transition. I sometimes doubt that I can make it through. I’m tired and I’m discouraged. Sandy, thanks for your honesty. I encourage you to pray about a godly woman whom you would like to mentor you and then take Jayme’s suggestions in her guest blog — pray about it and then walk up to that person and let her know what you admire in her and that you’d love to sit and talk with her sometime. Most women would LOVE to be a mentor to others but don’t feel they can come up and volunteer it. I don’t know of any woman who wasn’t humbled and grateful when a younger woman asked her to be her mentor. Bless someone’s life by asking. 🙂 And please let us know how that goes. Sandy, you are an amazing and brave godly woman. Thank you for being so gut-honest in your comments. Cindi and I are praying for you right now. I want to encourage you to remember and keep telling yourself the truth about God. God is with you and will help you take one day at time. I’m praying right now for Him to deliver a godly mature Christian woman who can walk alongside of you. Until then, here are a few Scriptures I hope you will read, reread and write out until you believe it with all of your heart. I cover all of this in my new book Side By Side: 8 Conversations to Build Your Confidence in Christ launching in December. I think you would be blessed with this Bible Study. Keep in touch and never stop giving up hope. God is your refuge and your strength. I’m a minister in Raleigh, NC. I’m a woman who asked God to bring purpose to my pain. What God did for me was show me how to teach and encourage women through the word. My purpose became loving his people, teaching and showing He loves us even more than I can. I would love to be a mentor. I would consider it an honor. Elizabeth, so glad you were encouraged! I know you will be a huge blessing in someone’s life as you meet with them face to face in a mentoring relationship. I’ll be praying with you and asking God to guide you and divinely select your mentee (s). Be blessed!